LED ZEPPELIN fans will finally be able to stream the band’s music on their computer, smartphone, tablet or any other mobile device using the streaming service Spotify. Starting today, fans can hear LED ZEPPELIN’s first two albums — “Led Zeppelin” and “Led Zeppelin II”, both of which came out in 1969 — with the remaining 12 albums from the band’s Swan Song/Atlantic Records catalog being released each day at midnight (local time) for the next four days. 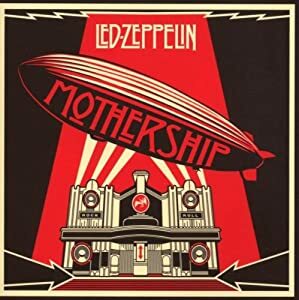 On Thursday (December 12), “Led Zeppelin III” (1970) and “Led Zeppelin IV” (1971), will be available, to be followed by “Houses Of The Holy” (1973) and “Physical Graffiti” the next day. On Saturday, December 14, fans will be able to stream “Presence” (1976) and “In Through The Out Door” (1979), with the remaining six albums — “The Song Remains The Same” (1976), “Coda” (1982), “BBC Sessions” (1997), “How The West Was Won” (2003), “Mothership” (2007), and \”Celebration Day” (2012) — are set to be made available on December 15. Read more via Led Zeppelin Catalog Now Available On Spotify Streaming Service – Blabbermouth.net.